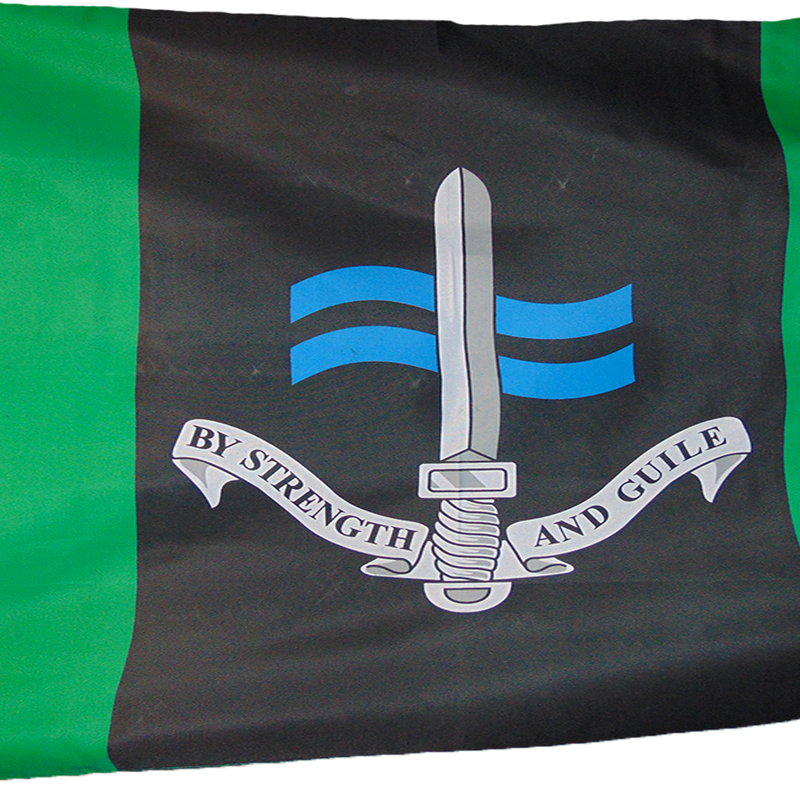 "The Strength and By Guile"
In 1940, British Army Commando Lieutenant Roger "Jumbo" Courtney approached the British Admiralty with a proposal to lead an ambitious Special Forces unit of "folding kayak commandos". He was laughed out of the room. "Jumbo" took matters into his own hands to prove his point. He paddled into a secure naval bay, infiltrating the HMS Glengyle, stealing a gun cover, and carving his initials the Captain's cabin. His talent was quickly recognized, and he was promoted to Captain, and the Special Boat Service was born. They have served with distinction as clandestine seaborne raiders through the Second World War, Korea, the Falklands, Sierra Leone, Afghanistan, and Iraq. Many of their activities remain top secret to this day, but they are recognized as the tip of the spear, and recognized as one of the first units to enter Afghanistan in November 2001. 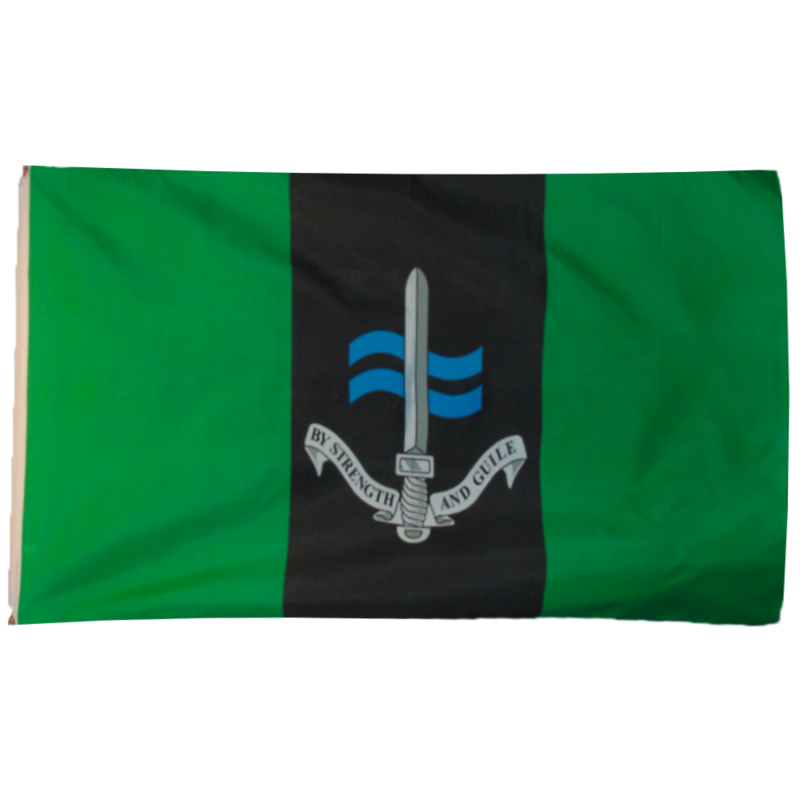 Standard 3x5' polyester flag, with two brass rings. All prices are in Canadian Dollars (CAD). We ship internationally!